The Palaeontological Association was founded in 1957 and has become one of the world's leading learned societies in this field. The Association is a registered charity that promotes the study of palaeontology and its allied sciences through publication of original research and field guides, sponsorship of meetings and field excursions, provision of web resources and information and a program of annual awards. We are pleased to announce that Dr Stephan Lautenschlager from the University of Birmingham has been appointed as the PalAss Exceptional Lecturer for 2019/20. The Palaeontological Association uses social media, as well as our website, to disseminate the latest news from the Association and wider afield. The official Twitter account of the Palaeontological Association (@ThePalAss). Most tweets by our Publicity Officer. Please follow us to keep up to date with palaeontologist related news. The Palaeontological Assoication membership is open to anyone. Membership of the Palaeontological Association is open to anyone. Subscriptions are kept low so as to allow as many people to join as possible. In addition to other benefits, members receive Palaeontology Newsletter, Palaeontology (journal) and Papers in Palaeontology (journal), plus generous discounts on other Association publications. Membership is required for those applying for awards from the Association such as the annual Small Grants Scheme Awards. The Palaeontological Association was founded in 1957 to promote the study of palaeontology and its allied sciences and is governed and structured under rules and regulations set by the The Charity Commission. 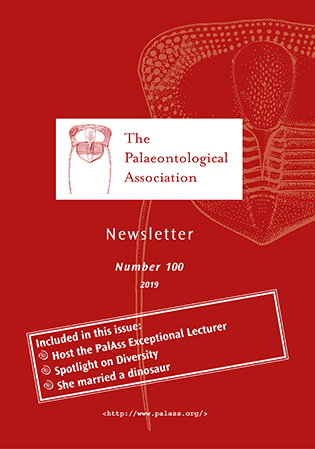 The Palaeontological Association publishes a varity of different publication throughout the year and possess an extensive back archive of material. 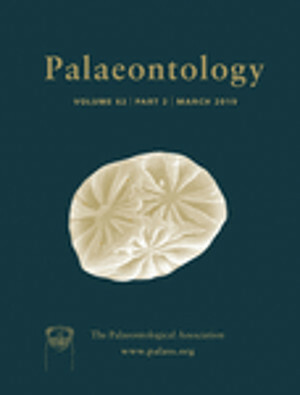 The journal Palaeontology is devoted to the publication of innovative and timely hypothesis-driven research that significantly advances understanding of the history of life on Earth. 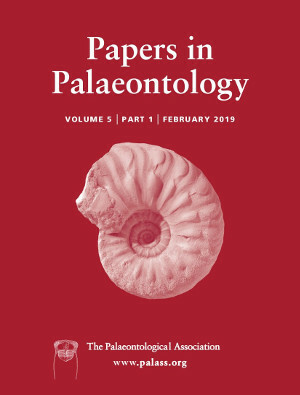 The journal Papers in Palaeontologyfocuses on descriptive research, including the descriptions of new taxa and of floras and faunas from specific localities or regions, systematic revisions, biostratigraphical and biogeographical documentation. The Palaeontology Newsletter contains a mixture of palaeontological news, book reviews, reviews of past meetings, details of forthcoming meetings as well as a series of regular discussion features. The Palaeontological Assocaition regually holds meetings and events aimed at both the scientific community and the general public. For postgraduate students the Progressive Palaeontology (ProgPal) meeting is held annually and run by students for students with the support of the Palaeontological Association. Information on future meetings (excluding the Annual Meeting and Progressive Palaeontology) related to palaeontology. EGU Galileo Meeting on "Mass extinctions, recovery and resilience"
The Palaeontological Association's Annual Meeting is the centrepiece of the Association's year and is held each December. The following Meeting Reports are available online, with many having appeared previously in the Palaeontological Association Newsletter. The Palaeontological Association provides information on Undergraduate and Postgraduate (Masters and PhD) courses, as well as articles on possible career paths within palaeontology. PhD projects currently on offer that we are aware of are listed under the PhD Opportunity section. Below are the latest notices added to our online database. To add a PhD opportunity please use our online form: Add a PhD Opportunity. These lists detail the Master courses that we are aware of. They are by no means exhaustive and the institutions listed, and others, may well be offering additional projects. Further details for many of these projects are available on institutional website. Note that application deadlines can be as early as January, and interviews usually take place during the period January-April. Careering off Course! is a Newsletter series asking career related question to palaeontologists who have successfully negotiated their chosen career path.